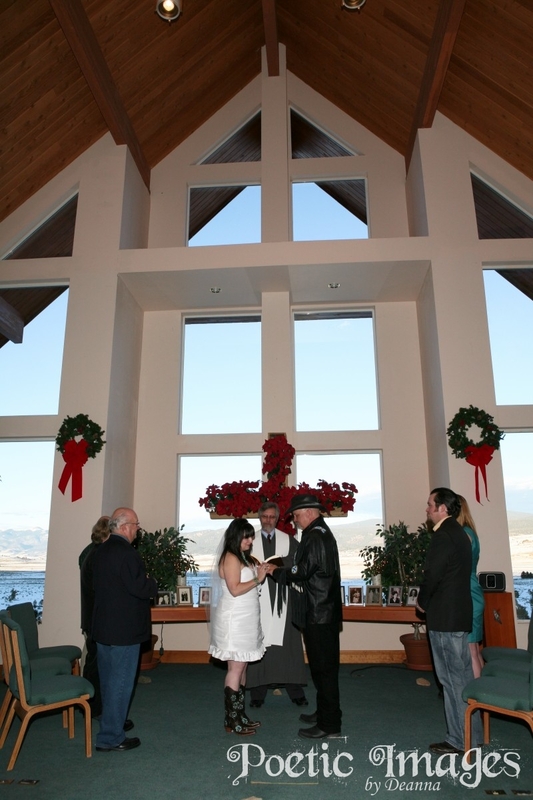 There is nothing like a wedding during the holidays! 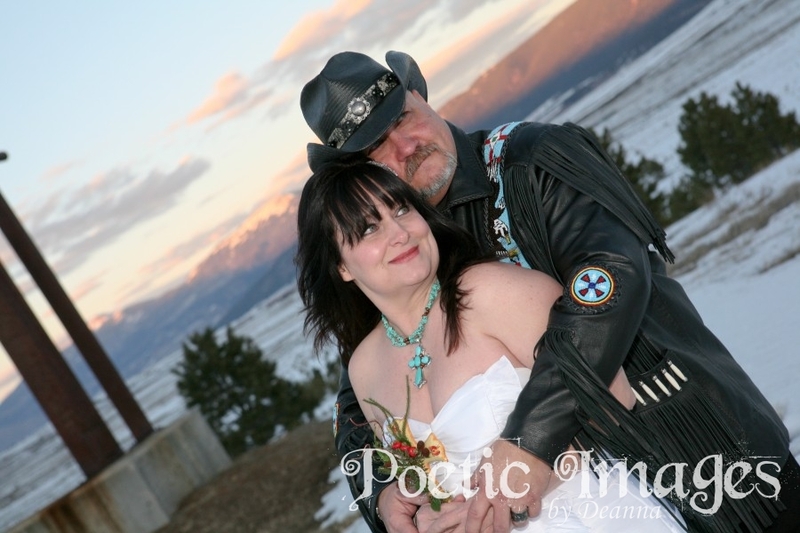 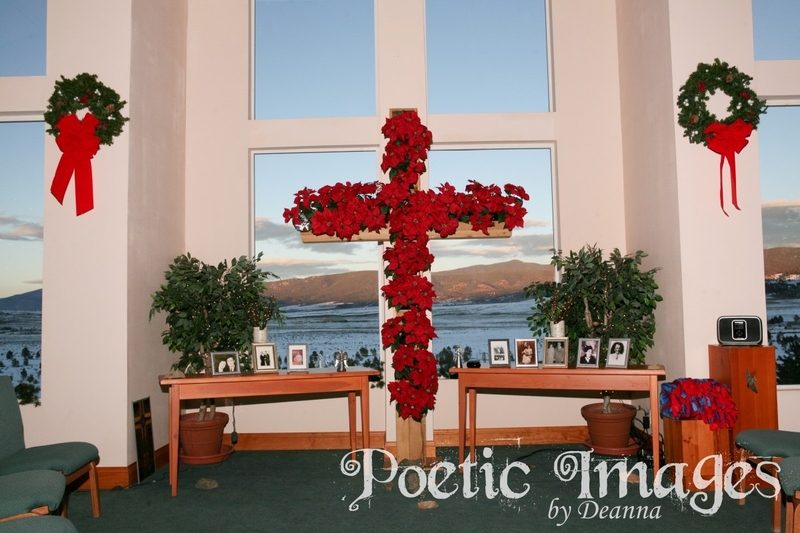 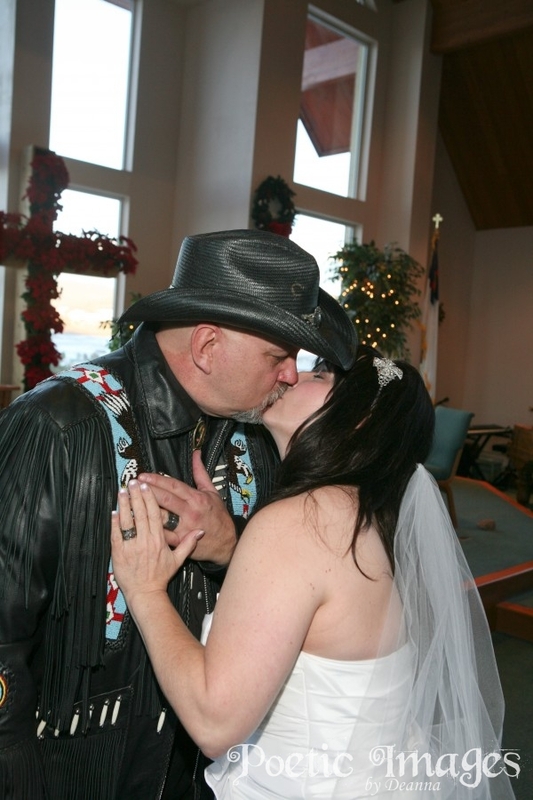 Julie and Steve were wed during Christmastime at the beautiful United Church of Angel Fire, NM. 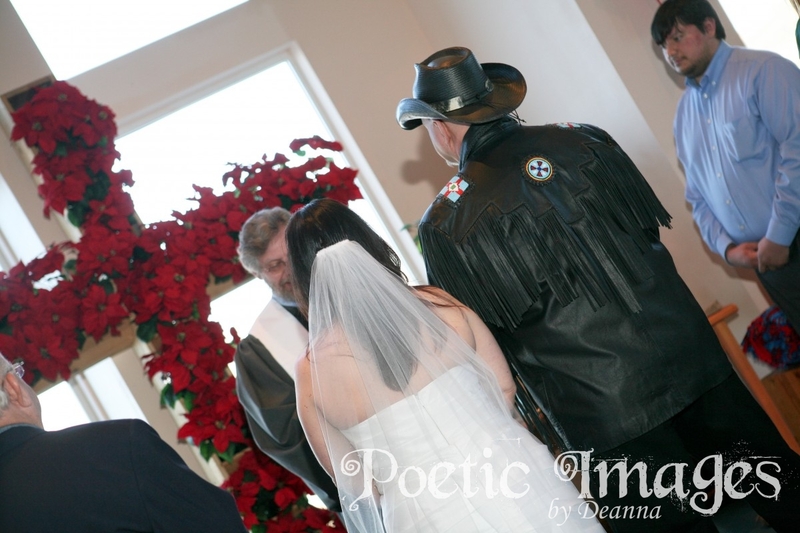 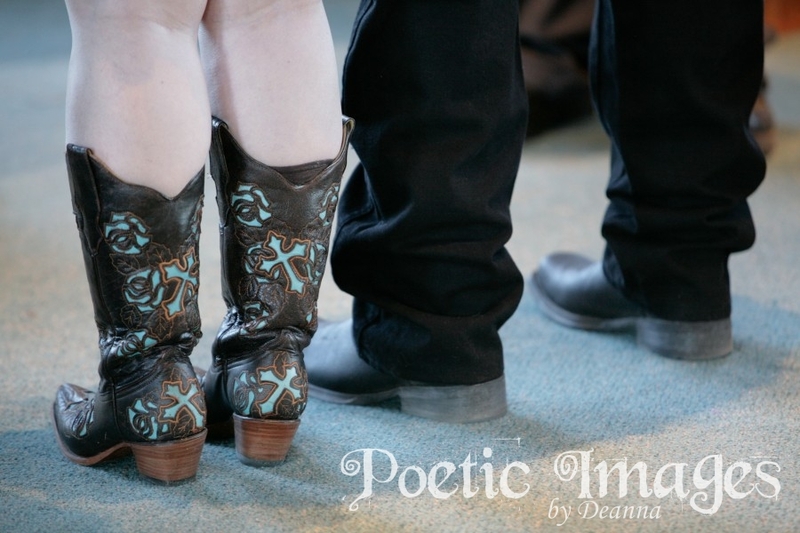 Their traditional wedding ceremony was small and intimate and all of their guests joined them at the altar. 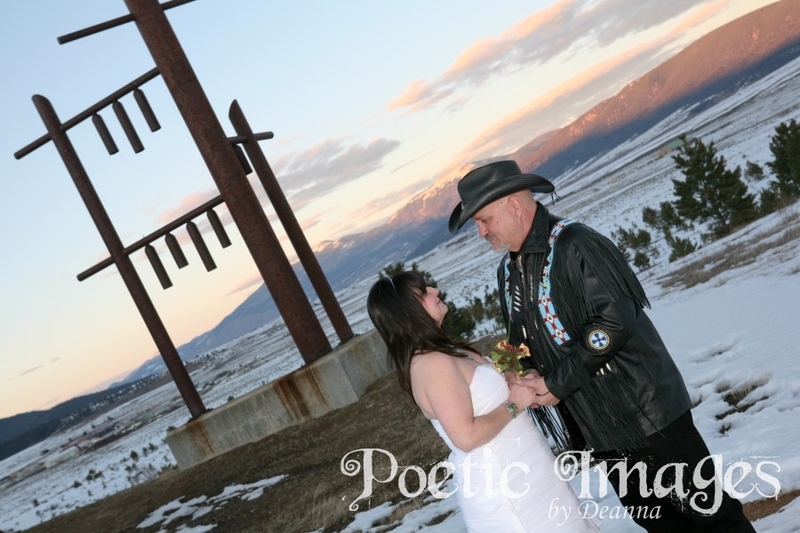 After the knot was tied, Julie and Steve braved the cold for some photographs in front of the mountains which were adorned snow and a sunset.